What is Via in Pad? 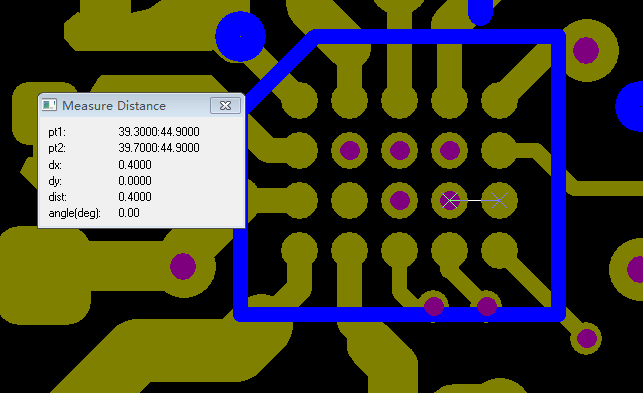 In shortly,via in pad is the via holes are at the SMD pad.The vias are very small,usually under 0.3mm.Why and how? 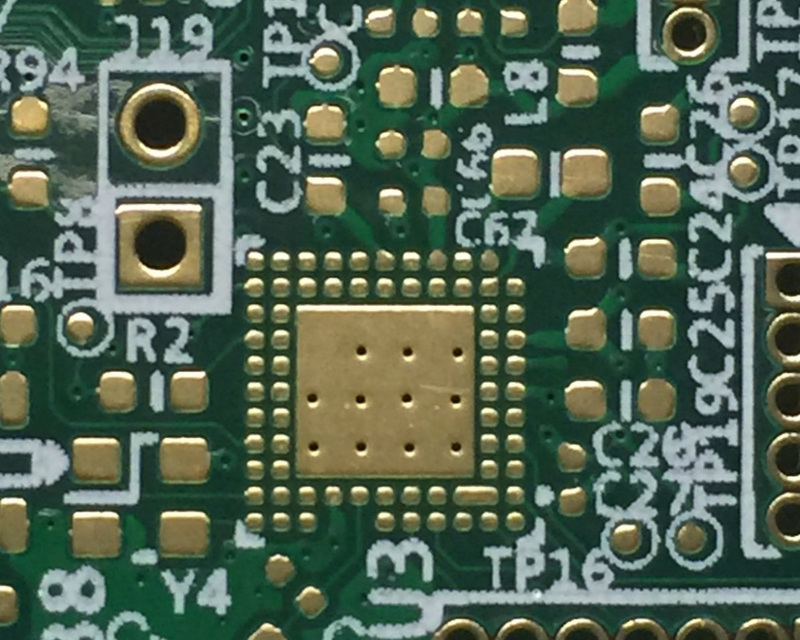 First is there is no enough space to layout,you have to put the vias and holes closer even together.Second it helps thermal management and for high frequency boards,it may help improve signals. Because the SMD pads are for SMD components loading,so the solder can not flow to inner layer or the other side when assemble.That is the most important for via in pad board. 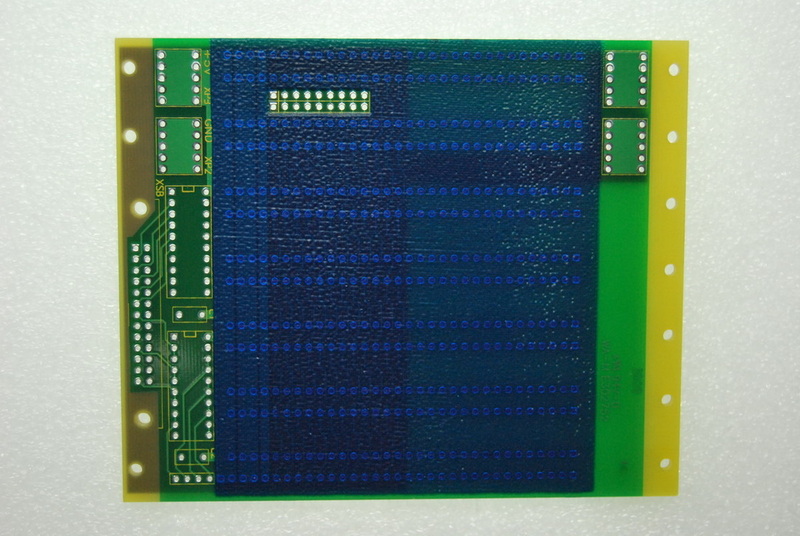 How PCB manufacturers like us to do via in pad board? We will fill all vias with non-conductive epoxy and plate copper over it ,so the vias are flat same as others. 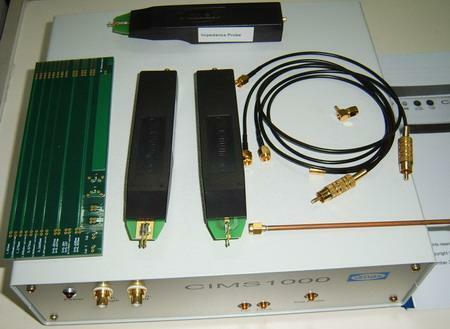 Many PCB factories are unable to do such capability. 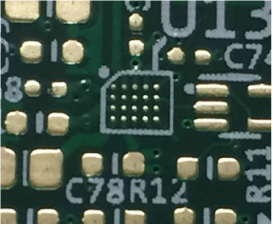 The key technology is how we fill vias and guarantee there is no any solder (surface finishing) in the holes. 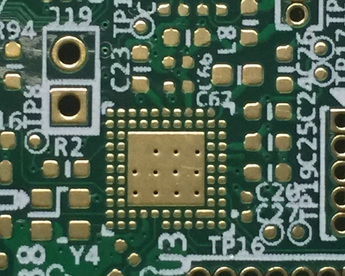 Via in big pads are not a big problem.but for BGA,that is technology.As BGA pads are very small,10mil or 12mil,and there is no enough space.Manufacturing is not easy as other boards. Here are some examples of what we did. Your Name we contact you. Your telephone we can contact you. Please upload your Gerber file ,Altium,ODB++,CAM file. 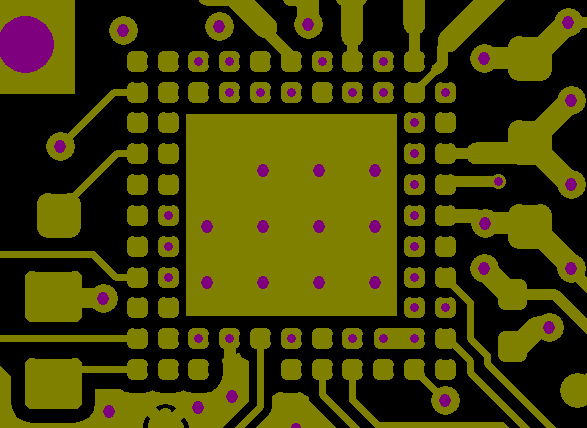 Via in pad in CAM file,BGA pad 10mil,via 0.15mm.